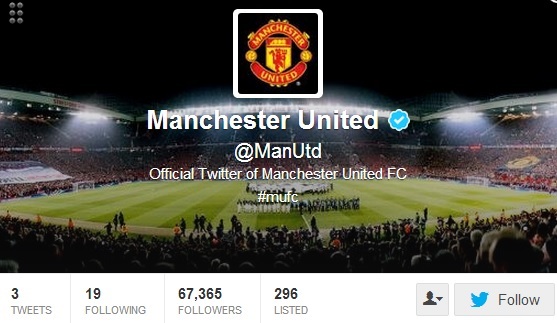 Man United finally take to Twitter. YouTube next? They might have topped the Premiership last season, but when it comes to digital and social media Man United are clearly Conference level. Expect that to start to change though as this morning the Reds finally made their debut on some hot new platform called, coughs Twitter. Yep head to @manutd and you can get all the latest updates from the Manc club. At the time of writing, a few minutes after its launch the club had over 3000 followers (60,000 by the time I had finished spellchecking!). Expect that to be closer to three million by the end of the day. So that’s Twitter sorted them, how about YouTube? Update – Almost 100,000 followers in an hour! Three tweets!